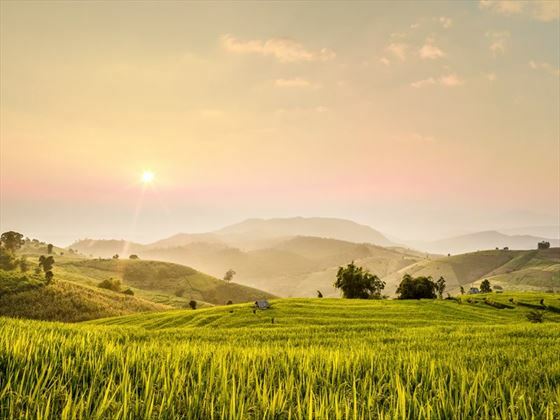 Offering everything from spectacularly diverse scenery, vibrant cities, rich culture, tantalising cuisine and luxurious resorts, Thailand really has it all. 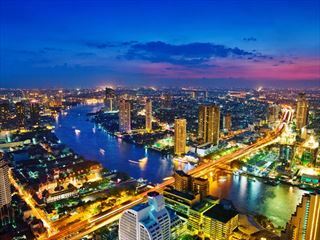 This magnificent 10-night adventure explores the breath-taking wonders from three of Thailand’s must-see destinations: Bangkok, Chiang Mai and Phuket Island. 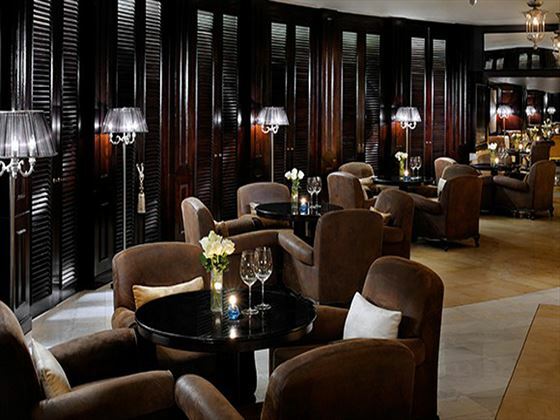 In each location, you’ll be staying in a collection of hand selected 5-star accommodation to ensure the upmost comfort and luxury during your stay. 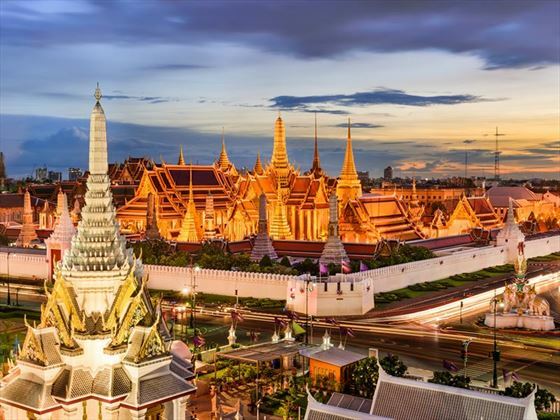 Your tour starts in the bustling metropolis of Bangkok, an incredible city that’s full of life and things to do, from colourful street markets, charming boutiques and opulent temples to towering skyscrapers and luxury shopping malls. 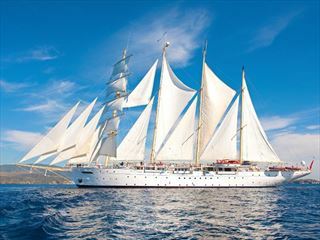 During your time here, you’ll also discover a captivating history and a mixture of cultures from all around the world. 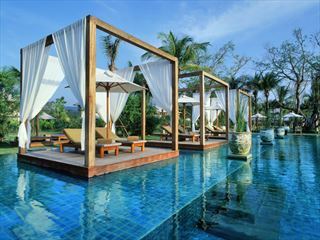 Then it’s on to the serene, beautiful city of Chiang Mai, nestled into the mountainous northern region of Thailand. Thanks to its historic, well-preserved centre, there’s a plentiful supply of ancient temples, ornate carvings and breath-taking sights to see here. The city’s surrounded by lush rolling hilltops and verdant forest scenery, and one of our favourite things to do if you find the time is to explore some of the stunning hiking trails around for fantastic photography opportunities of glistening waterfalls shrouded in lush flora. 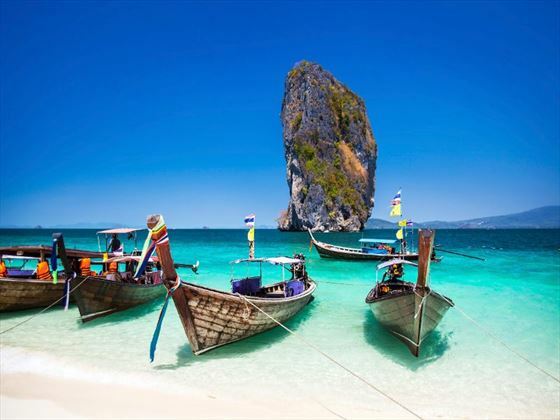 Your final stop is one of our favourite Thai destinations, the island paradise of Phuket. You’ll spend five nights at a luxurious beachside retreat in the North of the island, with plentiful time to unwind and explore the expanse of incredible sights the region has to offer, including the UNESCO World Heritage Listed Phang Nga Bay, formed of jungle-topped mountains, pure sparkling rivers and picturesque bays dotted with sheer limestone karsts – a phenomenal sight to finish off eleven days of bliss. Upon arrival in Bangkok, transfer to your hotel for check-in. Bangkok is a majestic city of contrasts, and you never know what you’re going to stumble on around the next corner; whether it’s a collection of opulent temples which adorn a modern metropolis of towering sky scrapers, luxury shopping malls and extravagant architecture, or a sea of colourful street markets and charming boutiques, you’ll certainly never feel bored of this exciting urban hub. 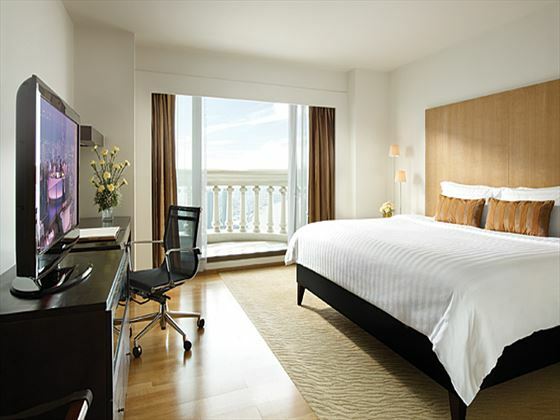 During your stay here, you’ll enjoy a couple of half-day tours. The first tour is of the breath-taking Grand Palace, which can be taken in the morning (8:30am – 3.30pm), but we recommend the morning tour to avoid crowds; you’ll start by visiting Dusit Hall, also known as Funeral Hall, where you’ll learn about the fascinating history and royal ceremonies that used to take place here. Then you’ll move on to the Wat Phra Kaew, which contains a beautiful Emerald Buddha dating back to the 14th century. * (Please note that the Dusit Hall is closed on Sundays, and a strict dress code applies of proper attire – shoulders, legs and chest should be covered). The second tour on your agenda is a visit to the famous Damnoen Saduak Floating Market; the bustling scene and ambience here perfectly captures the exciting feel of Thai cities. You’ll take to the water in a traditional long-tail boat, where your guide will paddle you between hundreds of other boats selling a broad range of souvenirs, delightful Thai food and fresh produce. 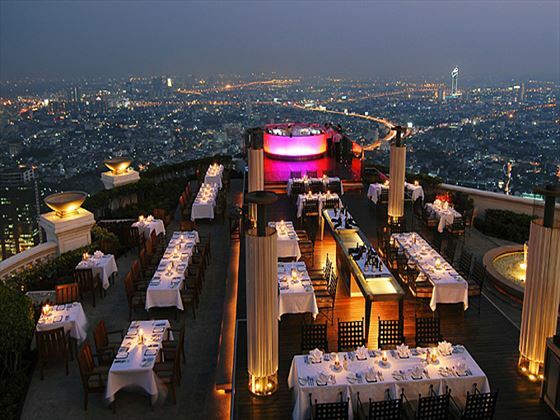 An incredibly luxurious 5-star hotel, Tower Club Lebua offers a fabulous insight into Bangkok’s VIP scene. 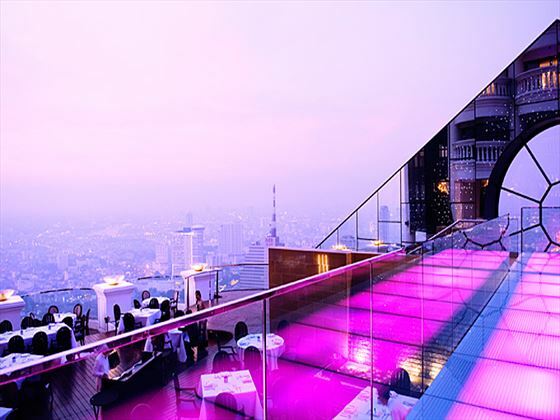 Fine dining, stunning rooftop bars and an incredible range of gorgeous guest suites promise the upmost in five star service and divine facilities. 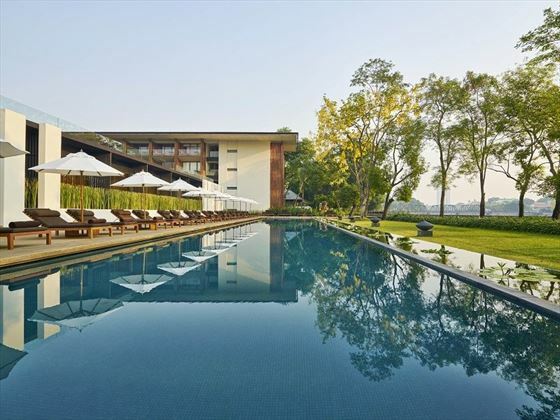 After exploring the wonders of Bangkok, we imagine that you’re probably feeling pretty tired and ready to relax by now, and Chiang Mai offers the perfect setting to unwind and recharge in utter bliss. 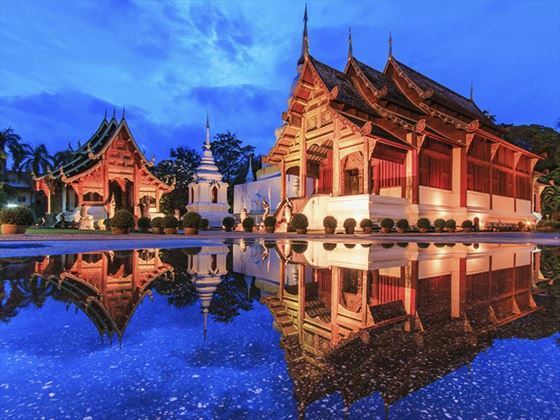 Chiang Mai’s laid-back setting feels more like a sleepy Thai village than a city thanks to its historic centre. 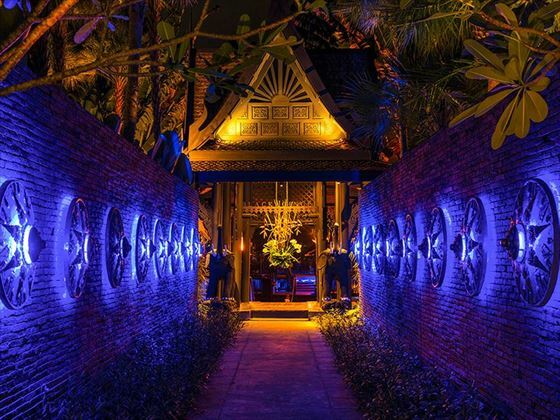 Its old city area still retains vestiges of ancient walls and moats from its history as a cultural and religious centre, home to hundreds of elaborate Buddhist temples, including Wat Phra Singh and Wat Chedi Luang. You’ll discover the intricate carvings and stunning architecture of these temples on an immersive tour, learning about the regions vast history from when it was the capital of the Lanna Kingdom until 1508. You will also leave the city behind for a little while to embark on a charming river cruise tour, which sails through gorgeous countryside scenery and historic sites along the way. The city’s surrounded by lush rolling hilltops and verdant forest scenery, and one of our favourite things to do if you find the time is exploring the hiking trails – there’s nothing quite like stumbling upon a glistening, picturesque waterfall shrouded in verdant flora, it almost feels as if you’re the only one to ever discover them, and the photography opportunities are endless. With verdant hillsides, ancient citadels and hot springs within easy reach, this hotel is an excellent base to discover the charms of northern Thailand. 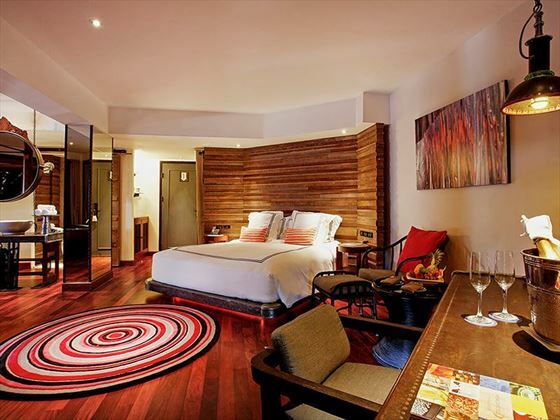 Situated on the banks of the Mae Piung river this hotel is a great choice for couples and small groups with fantastic dining and lounges for guests wanting to relax and unwind or perhaps take the five minute stroll to the night markets and restaurants. 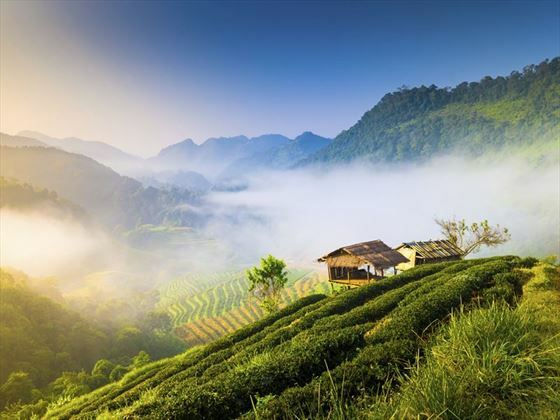 Dramatic karst islands, pristine beaches and blissful rainforest scenery are what make up the landscapes of one of Thailand’s most famous and gorgeous destinations, Phuket. 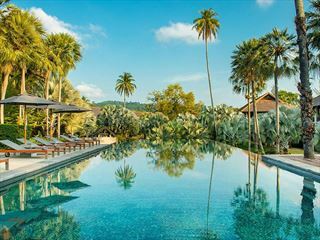 Only slightly separated from the Phang Nga peninsula, Phuket is a truly enormous island, and it certainly doesn’t feel like some of Thailand’s smaller archipelago. 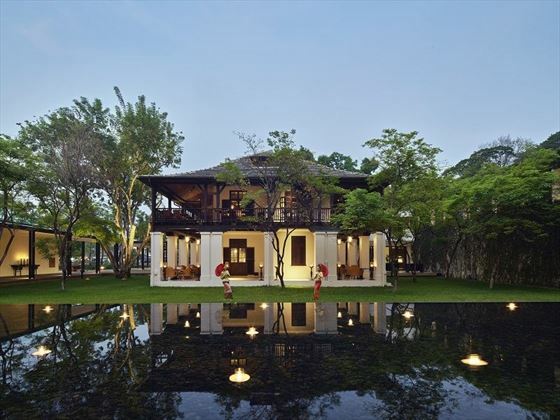 Your accommodation is based in the North of Phuket Island sitting on the site of a former working tin min, it innovatively celebrates Phuket’s tin mining past in a funky, modernist and decadent way. We understand you may not want to peel yourself away from the gorgeous pools and five-star facilities, but it is most certainly worth it to discover the magnificence of breath-taking experiences this island has to offer. 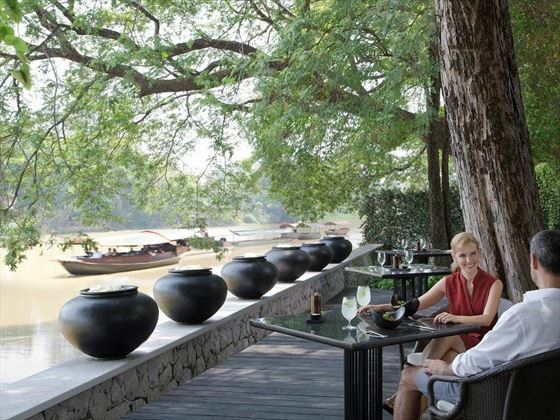 During your divine five-night stay here, we have arranged a couple of tours to see some more of the island and its surrounds; your first adventure is a trip to the world-famous Phang Nga Bay, a paradise of jungle-topped mountains, pure sparkling rivers and picturesque bays dotted with sheer limestone karsts and teeming marine life. During your second excursion, you’ll board a luxury speedboat to explore some of the breath-taking islands and sights surrounding Phuket. 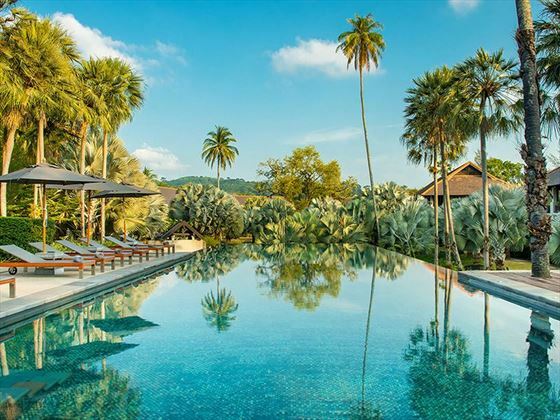 Featured in our guide to the top 10 luxury hotels in Thailand, this idyllic beachfront retreat draws a real focus on luxury and wellness. A heavenly spa, infinity-edge pool, luxurious villas, divine cuisine and selection of complimentary classes ensure that your time spent here is blissful.